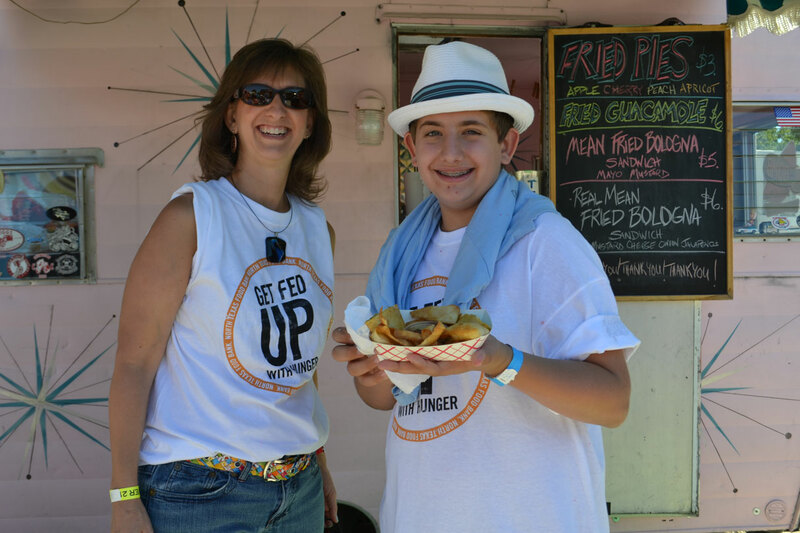 Megan, Corbin, Darren and Dylan Glass enjoy a fun-filled day at the Food Truck Palooza. Fried Guacamole anyone? Kimberly and Dylan Kort show off their fun treat. 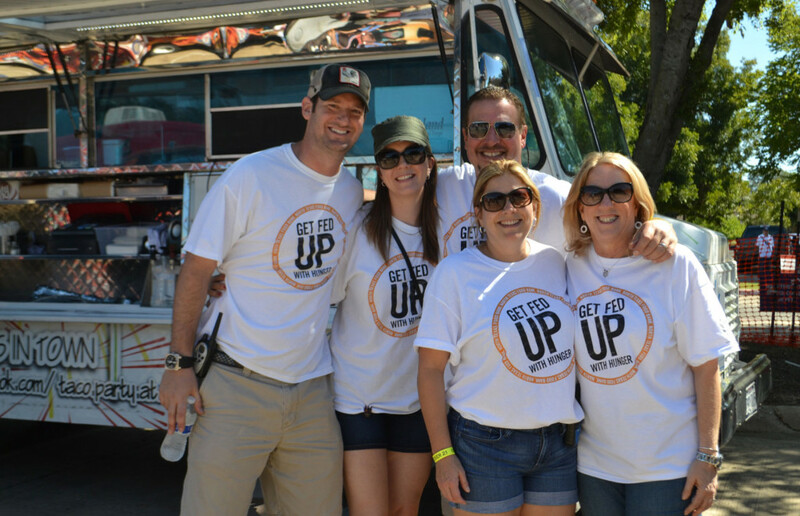 The Second Annual Food Truck Palooza on Sunday, Sept. 22, 2013 was a truly perfect event: perfect weather, perfect volunteers, perfect event chairs, perfect family activities and of course, perfect food. 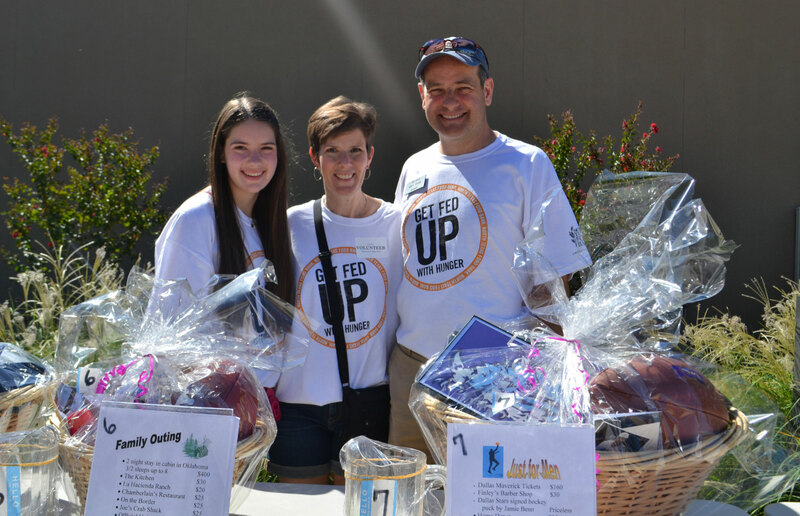 “The time to visit with friends, meet new friends, listen to music, watch a magic show AND eat delicious food on such a beautiful day was a great thing for the Temple Shalom community and to all those who attended,” said Temple Shalom President Aric Stock. Over 4,000 people attended this family friendly community event. While parents enjoyed great music and delicious food, children of all ages enjoyed free popcorn, cotton candy, airbrush tattoos, face painting, bounce houses, caricatures and more. A highlight of the day was the B&G Letter Campaign brought by the North Texas Food Bank (NTFB) to raise awareness and advocate about the issue of hunger in North Texas. NTFB, in partnership with the Dallas Convention and Visitors Bureau, hopes to encourage social media promotion and motivate members in the community to raise their voices and give their time and resources to not just fill tables, but improve the lives of hungry North Texans and make a BIG difference in the issue of hunger. Children and adults of all ages posed with the B & G letters and put them on Facebook for friends and family to see. Proceeds from the event benefitted the North Texas Food Bank. This was an incredible day of people working together to make a difference. Temple Shalom’s Senior Rabbi Andrew Paley said it best: “For me, this event exemplifies the very best that a temple community can offer, and I am so proud of the excellence of Temple Shalom. What we strive for, every day, is to be a place for meaningful gathering, as we seek to fulfill our historic calling as a temple. This wonderful event brought together members of congregations from all walks, from every age and from every ability. “Co-chairs Murray and Michelle Swanger, Robyn Young and Brandy and Mark Wayne were brilliant in bringing us all together for this great day! This was both a fun event for us, and a way to be a part of our great city as well. Letting the wider community know we are here and we have something special to offer in partnership and collaboration with the leading helping organizations in Dallas, like the North Texas Food Bank, is an important part of what we do and who we are. I hope those who attended had as much fun in eating and helping those in need as we did,” he continued. Thank you to the hardworking volunteers and sponsors: Munn & Morris Financial Advisors, The Protas Family, North Texas Food Bank, Starwalk of Dallas Party Rentals, Gold Metal Recyclers, Cindi’s NY Delicatessen, Antebi Landscaping, Advocare, Echo Environmental, Sustainable Management, California Pools, BMS Sales, Morgan Stanley, Bio Game and Cube Solutions. Some call him “the Mayor” at the Legacy Willow Bend. At the TJP, we are always overjoyed when Bob Weinfeld stops in for a visit and shares an update or two at about what’s going on at the Legacy Willow Bend or one of the many other organizations with which he’s involved. If you know Bob, then you know he is a bundle of energy and a program planner extraordinaire. On tap at next week’s current events discussion, Bob has lined up two amazing American patriots and war heroes, U.S. Navy Seal Commander Mark Waddell and Bronze Star U.S. Amry Infantry Officer Samuel Brown to share their experiences. The program is at 2:15 p.m., Wendesday Oct. 2, in the sanctuary at the Legacy Willow Bend, 6101 Ohio Drive in Plano. Waddell led U.S. Navy Seal missions working with or in 96 nations on six continents for 25 years. He is decorated for heroism, combat valor, merit and acheivement. 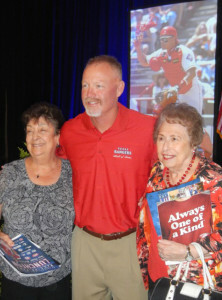 In addition to his stellar millitary career, Waddell has been a spokesperson for post traumatic stress disorder (PTSD) and traumatic brain injury (TBI). He will talk about his life and the challenges faced by troops coming home after serving our nation. Brown served as an infantry officer and combat leader. He was serverly wounded from an enemy IED in Kandahar, Afghanistan. His recovery required three years of medical procedures and rehabilitation. He is a special spokesman for Sons of the Flag Burn Foundation due to the life-threatening burns he received. Brown trained at West Point for five years before deployment. He is a U.S. Army Ranger and was awarded a Bronze Star and an Army Acocomomodation Medal for combat valor on the battlefield leading his 34-man platoon. The Current Events Series is an ongoing program at the Legacy Willow Bend. There is no charge and the community is invited to attend. Jewish Family Service and UT Southwestern Medical Center are joining forces for the 17th annual Janis Ablon Professional Conference on Family Violence Sunday and Monday, Oct. 6 and 7. CEUs, CMEs and certificates of attendance will be given for both events. For additional information regarding registration, contact Ariela Goldstein, LCSW at 972-437-9950 or conference@JFSdallas.org. As a reminder, October is both Bullying Awareness Month and Domestic Violence Awareness Month. The Dallas Holocaust Museum/Center for Education and Tolerance has commenced the planning process for an expanded permanent exhibit that would be a part of a future, new home for the museum. The desire is to make certain that the exhibit reflects the experiences of Holocaust survivors and liberators in North Texas. Thus, the community is invited to join the museum in launching its artifact drive before the exhibit is fully designed. The DHM/CET needs original documents, photos, artifacts, diaries, travel papers, art, clothing or almost anything related to pre-war Jewish life, survival experiences, life in the ghettos, camps, and forests, anti-Semitism, liberation, life in the DP camps, post-war resettlement, immigration and the rebirth and continued vitality of Jewish life after the war. Artifacts may be large or small — like a suitcase or a child’s doll. They may be three-dimensional or on paper. A Holocaust museum recently received a Talmud that was printed by the U. S. Army in Germany in 1948 for the spiritual rehabilitation of the Jewish people. Another museum got a Jewish star and a suitcase that a child carried with her as she obtained freedom in England. A cantor donated a “parochet,” the curtain covering the Ark that was taken from a synagogue on Kristallnacht and documents from the passports that Wallenberg issued in Budapest, to the currency with Rumkowski’s picture that was used in the Lodz Ghetto. Concentration camp uniforms and Jewish Stars are needed as well as artifacts from the world — from Jewish life in Europe prior to the Nazi assault — and materials from the Holocaust years and even material from the post-Holocaust life of survivors in the United States and Israel. Artifacts need not be beautiful. If shown in an art museum, a painting must be beautiful; for a Holocaust museum, the object might be simple, beat-up, or worn, which gives the object extraordinary power to reach the visitor and to tell the story. Artifacts can be found almost everywhere, and survivors know what they have. These may be prized possessions and the most important remnants of their life before and of their struggle during the Shoah. Children of survivors may not know what their parents possess. They may come across this material, often written in a foreign language, as they help their parents move from their homes to a warmer climate or to assisted living facilities, or as they clean out their parents’ homes following their demise. The National Yiddish Book Center was established because children and grandchildren were discarding the cultural treasures of the Jewish people that were written in a language that they do not understand. Please do not throw them away — call the DHM/CET. They will come to your location to examine the material and be responsive to your needs and wishes. One of Dallas’ most beloved rabbis, Rav Hanan Schlesinger, will be on hand throughout the year to lead classes through the Jewish Studies Initiative of North Texas. Schlesinger, JSI’s founder and director, returned to his home in Israel this summer, but will be flying back to Dallas once a month to continue the group’s educational programs. They will take place once a month over an eight-month period beginning Oct. 6 -9. “Faiths in Conversation” — Mondays, 7-9 p.m., rotating houses of worship. The first event will be devoted to “Justice, Mercy and Forgiveness,” and will take place at the Northway Christian Church. “The Most Important Talmudic Passages of all Times” — Tuesdays, 10 a.m.-noon, Congregation Adat Chaverim, 6300 Independence Pkwy., Plano; Wednesdays, 8:15-9:15 a.m., at the home of Liz and Robert Liener. For more information, including the exact dates of all of Rabbi Schlesinger’s trips to Dallas and fees for the classes, visit, www.JewishStudiesInitiative.org. To register for classes, email Schlesinger at ravhanan@sbcglobal.net or call 972-695-2411 before 2:30 p.m., Sundays through Thursdays. When the rabbi is in Dallas, he can be reached at 214-789-7241. Dallas Kadima will host a Whirlyball event for all Jewish fifth through eighth graders from 1-3:30 p.m. on Sunday, Oct. 6 at WhirlyBall of Plano, 3115 West Parker Road. Kadima is the name of the fifth through eighth grade youth groups at Congregations Anshai Torah, Beth Torah and Shearith Israel. This is the kick-off event. The $20 admission includes WhirlyBall, laser tag, drinks and snacks. CSI Youth Director Stephanie Buch will gladly take RSVP’s at sbuch@shearith.org. Let her hear from you before Oct. 4. The Jewish calendar gives us so many opportunities for celebration: yearly holidays, special life-cycle events, Rosh Chodesh each month, weekly Shabbat (the most important holiday) and Havdallah and daily rituals that consistently focus our thoughts on who we are. Baruch atah, Adonai Eloheinu, Melech ha’olam, Shehechiyanu v’kiyemanu v’higiyanu lazman hazeh. Blessed are You, O Lord Our God, King of the Universe, Who has kept us alive and sustained us and brought us to this time. At the Goldberg Family Early Childhood Center, we created a “Shehechiyanu-Gram.” It gives us the opportunity to put the moment on a piece of paper that we hope will end up on the refrigerator at home. Some possible Shehechiyanu moments for children: starting a new school year, losing a tooth, scoring a goal in soccer, performing or receiving an act of kindness. … The list goes on! Traditionally the Shehechiyanu blessing is said at very specific times. But why not celebrate often? Being thankful is a habit; practice it, and it will be part of your life! Laura Seymour is Director of Camping Services at the Jewish Community Center of Dallas. I had the Rangers on my mind earlier this week, when Elizabeth and Murray Cohen sent me the photo at right of ourtowner Rhoda Solomon and former ourtowner Shirley Cohen (now of Plano). I had just purchased my Wildcard game tickets with the hope that the Rangers might have a little rachmanis on me and stay in that race. 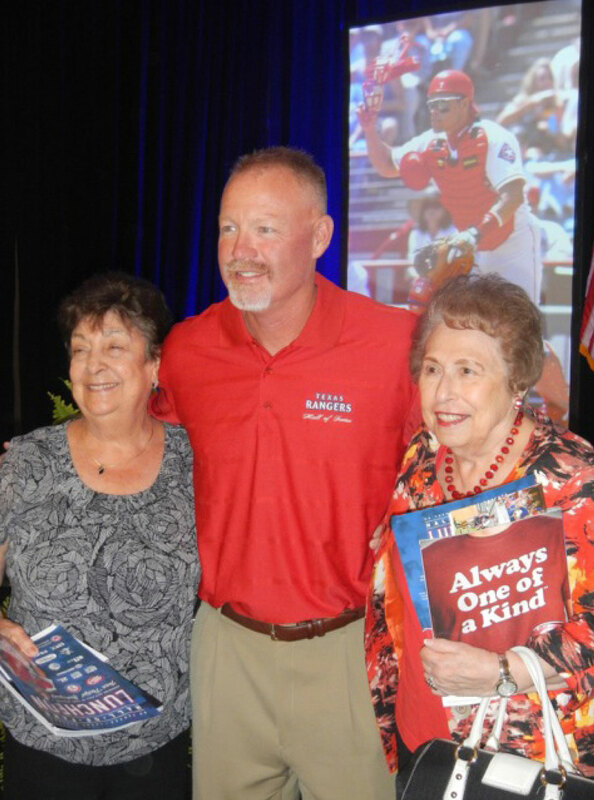 The Solomon and Cohen clans are well-known, devout Ranger fans and are pictured here with fan-favorite, former left fielder Rusty Greer at the Texas Rangers Hall of Fame Induction luncheon for Pudge Rodriguez held at the Omni Hotel in Fort Worth on Friday, July 19. I’m told that the duo met Mark McLemore as well, and Rhoda said, “Mark, when the Rangers traded you I cried and cried.” Mark answered, “Ma’am, so did I.” Let’s keep our fingers crossed that there IS October baseball in Arlington this year. I know three families for sure that will be thrilled. Speaking of baseball, one of my oldest son’s most memorable high school experiences was traveling to Philly in 2011 as part of the Team Dallas Maccabi delegation. Meeting Jewish kids from not only around the country, but also Israel, Mexico and Canada was a highlight for him, and we have the swapped jerseys from Mexico, Atlanta and LA to show for it. Our family was also lucky enough to host two terrific baseball players from Baltimore when the Dallas JCC hosted the Maccabi Games in 2005. I was thrilled to learn this week that kids from Fort Worth and Tarrant County will be able to join the fun next summer. At 1 p.m. on Sunday, Sept. 29 at Congregation Ahavath Sholom there will be a meeting for teens and their parents to meet Robby Etzkin, assistant executive director of the Roth JCC in Orlando, Fla., to find out how they can participate in Maccabi 2014 in Boca Raton Aug. 10-15. The games are open to teens ages 13-16 as of July 31, 2014. Competition includes baseball, basketball, soccer, volleyball, tennis and swimming. There will also be a co-ed flag football team. The games began in 1982 and have grown to include all of North America and Israel. Last year’s competition was held in Austin and Orange County, Calif. Dallas sent a large delegation, as did many other large communities. Because Fort Worth does not have a JCC, there has not been a push to send kids. However, I’m told, a dedicated group of volunteers from Ahavath Sholom want to make this a community priority. The kids would be joining the Orlando delegation for 2014. Since the 2015 games will be in Dallas, there may be enough kids to support a Fort Worth and Tarrant County delegation. The goal is to have as many kids and parents attend the meeting on the 29th. The only restriction is age and being Jewish. Even if a teen does not play a particular sport, it is possible to join in through Maccabi. There is plenty of time to learn a new sport and make new friends. Once interest is assessed, a community committee will be formed to implement the process of funding and logistics. For every 10 athletes, there will be an adult from the community. Etzkin, who happens to be Naomi Rosenfield’s son, will be the professional staff for the games. To find out everything you need to know about Maccabi, please consider attending the meeting on Sunday. You can also visit the official website at www.jccmaccabigames.org. Congregation Beth Shalom will hold a weekly Introduction to Judaism class beginning next week. From 7:30-9 p.m., starting Wednesday Oct. 2 and running through early May, Rabbi Charlie Cytron-Walker will share and explain stories from the bible, Jewish history, the sacred Jewish calendar and much more. Have you forgotten your Hebrew school days and need a little reminder? Do you want to learn more about Judaism? Then this class is for you. Cost is $54 for Congregation Beth Israel members and $108 for non-members, plus the cost of books. Rabbi Cytron-Walker stresses that cost should not be a barrier to education. If the cost of the class would inhibit your participation, please contact him at rabbi@congregationbethisrael.org. To enroll for either class, RSVP to Stephanie at administration@congregationbethisrael.org. Fellow Wash U. alums Elliot (AB’71) and Patty (AB’72) Garsek will host The Washington University Alumni Club of Dallas/Fort Worth at the Modern and the Kimbell Art Museum on Oct. 12. Join Professor John Klein for a discussion and tour of the Picasso and Matisse exhibit. Klein, a noted expert on both artists, has presented to WU alumni in Houston, Chicago and New York about Picasso. Following the presentation, the group will walk to view nearly 100 of the Art Institute of Chicago’s most outstanding masterpieces on display at the Kimbell Art Museum. Cost which includes breakfast, presentation and tour is $35 per person (above 35 years old) and $25 per person (35 years and under). Complimentary reservations extended to Current and Life members of the William Greenleaf Eliot Society (up to two per household). Klein is the associate professor and director of graduate studies in the department of Art History and Archaeology at Washington University in St. Louis. Among his areas of expertise are modern sculpture, Dada and Surrealism, the history and theory of the art museum, modern decoration and decorative arts, portraiture from antiquity to the present, and modern art theory and criticism. Klein is an internationally known specialist in the art of Henri Matisse. In addition to his book “Matisse Portraits” (Yale 2001), he has published many articles and book chapters on the artist. He is currently writing the book “Matisse’s Late Decorations and the Essential Quality of Art,” to be published by Yale University Press. The Art Institute of Chicago holds one of the greatest collections of modern European art in the world. In the largest loan of its kind from the Art Institute, nearly 100 works from this collection have traveled to the Kimbell Art Museum. The Kimbell is the only venue for this special exhibition. Among the works in the exhibition — which spans the first five decades of the 20th century — are 10 by Picasso and 10 by Matisse, the friends and rivals whose paintings revolutionized Parisian art at the turn of the century. For more information, contact Virginia Kelly at 314-935-5212 or virginia.kelly@wustl.edu. Fall’s message is that although summer’s heat seems forever when it’s present, in reality it’s just a brief stop in time, quickly over. As fleeting as life itself. We’ve entered another Rosh Hashanah. As I move forward, I marvel at the wisdom of our ancestors, who declared their belief in the future when they chose this dying season for the beginning of the year. It must have taken many cycles for primitive human beings to understand that dead-looking trees will actually leaf again. It was an act of faith to declare that the new year starts here, at nature’s lowest ebb. It was an affirmation of belief in life itself. We Jews know in our bones that, no matter how assimilated our societies seem, the uprisings of one political or racial or religious or ethnic group against another are recurring constants in the history of humanity. We have already had 5,773 full years in which to observe it. Instead of merely being surprised about why this keeps happening, we wonder why no people on earth have ever been strong enough and wise enough to stop it from happening at all. How can it be that countries with the intellectual ability to put humans on the moon can’t control their fear of — and hatred against — other humans here on earth? This New Year, I thought back to the sweet young teenagers I used to teach in Sunday school. I was sure even then that it took an act of faith for any 14-year-old to start out in high school, step off toward maturity and begin to make major decisions that would affect not only the individual self, but generations yet to come. Modern psychology tries to assist youngsters in exploring such questions as “Who am I?” and “Where am I going?” But individuals grow only by learning to formulate the right questions for themselves and then find satisfying personal answers. While psychology may help, this is basically a job to be done in solitude. The task of becoming a real person is lonely work. Over my many years, I’ve come to see all of humanity, from the start of time to infinity, as a huge canvas in a frame large enough to accommodate the dabblings of every individual. Each of us paints our little piece, then puts the brush down. The picture is constantly evolving, embodying both harmonies and disharmonies. The colors, like the painters themselves, often clash. It’s hard to use our insignificant little brushes with forethought and foresight when we can’t see the totality of the canvas on which we’re painting. But the Talmud tells us that although it’s not incumbent upon any one of us to finish the work, neither can any of us refuse to contribute to it. Making our little marks is an act of faith for everyone. When the tree drops its leaves, it’s actually preparing for spring. My cat grows her hair with some instinctive knowledge of a regular order to the spiraling seasons. At my keyboard, I say “I will not live long enough to use all the words I know. And even if I could live forever, I would still not know all the words there are to use.” But this computer is my paintbrush, so I do what I can. This is my act of faith. Join this continuing Jewish parade. Carry your Torahs with pride, and dance with them tonight in joy. I wish all of us a 5774 full of faith in the future. Simchat Torah: Right to sit? I’ve often been bothered by something I have noticed on Simchat Torah in synagogue: People who are not dancing are sitting. I know that when a Torah scroll is removed from the ark, say at a regular Shabbat service, everyone stands in honor of the Torah. It was once explained to me that whenever the Torah is moved from place to place, we stand in honor of the Torah. Why is it, then, that on Simchat Torah, when the Torah is being moved as part of the celebration, some people sit in its presence? Many years ago I posed this exact question to my mentor, the late Rabbi Shlomo Zalman Auerbach of Jerusalem, the leading halachic decisor of the past generation in Israel. He smiled, indicating that he, too, had been bothered by this question in his youth. He said he had observed rabbis far greater than anyone in our generation who also sat during the seven hakafot, when the Torah is being taken around the circle of dancing and celebration on Simchat Torah. Rav Auerbach then answered cryptically, that in his opinion the answer is the following: The need to stand for the honor of the Torah scroll is only when the Torah is taken from its stationary place and moved from place to place. On Simchat Torah, the entire synagogue is its place! To me, this was a very profound analysis of what Simchat Torah is all about, as well as an important message for our lives as Jews. We often look at the Torah as something foreign to the world we live in, and in many ways it is foreign to our society. We try to add in a little bit of Torah and Judaism here and there — although, deep down, we know it’s not the central theme of our lives. In a sense, we are taking the Torah out of the ark, out of its place, and moving it into our lives for a bit until we return it back to its place. On Simchat Torah, the real celebration is that the Torah’s place is everywhere. Torah is, for those who choose to make it so, central to our lives and permeates every area of our existence, “ … because they [the words of Torah] are our lives and the length of our days … ” For those who have a deeper understanding, this is a fulfillment of “Hu Mekomo shel olam”. When the tablets were given to us at Mt. Sinai, the Torah says that they could be read from either side (Shemot/Exodus 32:15). This was a great miracle, because letters cut all the way through stone should only be readable from the front; in the back they would be backward. What was the point of this miracle? what lesson was G-d teaching through it? Rabbi Samson R. Hirsch (1808-1888) explained this in a penetrating message: Often Jews feel that Judaism is something “to do” in synagogue or on holidays, rendering it a religion. However, Judaism is not only a religion, but also a way of life. There are mitzvot that apply to every area of business, domestic, family and community life. Whichever way you turn, there are mitzvot that show us how to live Jewishly and infuse our lives with holiness. That is the message of the Tablets; whichever way you turn them, they can still be read. I have often quoted one of America’s outreach leaders who tells audiences that if you’re going to take the family to synagogue twice a year — instead of Rosh Hashanah and Yom Kippur — make it Simchat Torah and Purim. Show the family the joy of being Jewish! Wishing you and all the readers a joyous, meaningful Simchat Torah. And may that Jewish joy carry on throughout the coming year! Rabbi Yerachmiel D. Fried, noted scholar and author of numerous works on Jewish law, philosophy and Talmud, is founder and dean of DATA, the Dallas Kollel. Email him at yfried@sbcglobal.net. This postscript to the High Holidays of 5774 is the same as my prelude to it: a viewing of the Israeli documentary “Torn,” on the evening of Selichot. The one-word title encapsulates the life of the film’s main character, who is not just “one in a million,” but truly “alone in the world.” Many Jewish children were saved during the Holocaust through adoption by non-Jews, but Romuald Waszkinel (aka Jacob Weksler) is the only one known to have become a Catholic priest. And he did. The Wekslers’ son was a strongly spiritual boy who loved the church in which he was raised. At age 17, he entered seminary training and was eventually ordained a Catholic priest. It was not until he was 35-years-old that his adoptive mother, on her deathbed, told him he had actually been born a Jew. In a discussion that followed the screening of this film, viewers debated a key question: Was it right for this woman to divulge such a life-changing secret to the man she raised, or should she have let it die with her? “Torn” follows Father Yaakov, as he comes to be known, through his decision to go to Israel and its aftermath. This does not actually happen until he is in his 60s; knowing his birth parents were Jewish makes him acutely aware of the anti-Semitism that has lingered in Poland even after the Holocaust, and he finally commits to learning firsthand the language and the land of his roots. It is not an easy path. The priest’s guide along the way is Michael Schudrich, Poland’s chief rabbi, who has become a good friend. But Rabbi Schudrich cannot do what Father Yaakov must do alone: decide if he can, and will, take the giant step of returning to the birth-faith he has never known. One of the most affecting scenes in “Torn” is the priest’s last Mass in Poland, after he has decided to go to Israel. He leads a group of Evangeline nuns in prayer, and when that is done, they come up to him one by one to wish him well on his journey and in his new life. That life turns out to be quite difficult, for Father Yaakov is unable to give up his belief in Jesus. He is finally accepted by an Orthodox kibbutz where he lives as a double “oddball”: a man much older than those with whom he’s studying, and one who is not really a Jew, since Israel’s Law of Return does not apply to someone who — although born to Judaism — has adopted another faith. The conclusion of the film offers no conclusion at all, for Father Yaakov is still in a religious no man’s land today. The Israeli government has given him “permanent resident” classification, and in a year or two he will be eligible to apply for the citizenship that comes automatically to newly-arrived Jews. He has moved to Jerusalem for a position in the archives at Yad Vashem, and has given up celebrating Mass. But although he now lives in Israel, he has not (yet?) returned to Judaism. Jacob Weksler’s mother made her supreme sacrifice when she gave away her child. Romuald Waszkinel’s stepmother — the only mother he ever knew — is enshrined in Yad Vashem as a Righteous Gentile who saved the life of a Jew: now a grown man, conflicted in his faith(s) and working in that very place. Should she have made her own sacrifice by withholding the truth of his birth? Or did she need to clear her conscience for the peaceful rest of her Catholic soul? Not to be missed this Sunday, Sept. 22, is Temple Shalom’s Second Annual Food Truck Palooza. This great event, which begins at 11 a.m. and ends at 8 p.m., will benefit the North Texas Food Bank. It includes fun, food and music for the entire family. 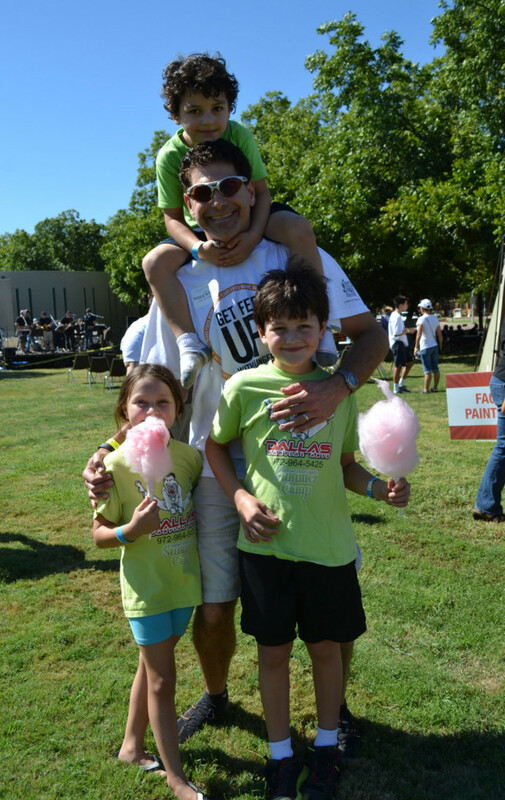 Last year, more than 2,500 fans sampled gourmet treats while enjoying music and fun in the shaded picnic area. The gourmet food truck craze is sweeping the nation and Dallas is no exception. Dallas’ best food trucks, including Nammi, Tutta’s Pizza, Crazy Fish and Easy Sliders will be on hand to deliver delicious food ranging from gourmet sliders, sushi, pizza and so much more. There will be live music from local bands like Vic Duncan, as well as a huge Kids’ Zone. Also for kids will be four large bounce structures, professional face painters and other fun activities. There will be a multi-winner raffle with exciting prizes, as well as special appearances by local performers and a magic show for the kids during the dinner hour. Admission is only $5 and includes parking, all kids activities and great music. The Dallas Jewish Community Foundation will host its 18th Annual Professional Advisors Seminar “The Sun Never Sets Estate Planning in 2013 and Beyond” on Friday, Oct. 4 at the Westin Galleria, 13340 Dallas Pkwy., in Dallas. The Foundation is proud to bring back popular speaker Christopher Erblich, partner at Husch Blackwell LLP, who will reinforce the seminar’s reputation as the best technical estate planning seminar in Texas. He has always received rave reviews for his presentation’s outstanding content using case studies and humor to illustrate successful estate planning. Most of the sponsors are included in the Dallas Business Journal’s top 20 lists of law firms, accounting firms and wealth management companies. Attending lawyers, CPAs, insurance underwriters, bankers and financial planners will receive two hours of continuing education credit while enjoying a lavish kosher breakfast. Participants will be able to network before and after the seminar and during the break. The early bird fee of $60 is only being offered until Sept. 22 and then the cost increases to $80. Register at www.djcf.org. The Legacy Willow Bend, Plano’s first and only life care retirement community, has named Marilyn Israel executive director. Israel is a recognized leader with more than 25 years of experience in health care, human services and senior housing. She joins The Legacy Willow Bend from Jewish Home/Jewish Senior Living Group in San Francisco where she served as the executive director and then as the director of strategic projects, working with a team of professionals on the redevelopment of the Jewish Home Campus. Previously, she served as the executive director for Kahala Nui, a $180 million not-for-profit continuing care retirement community (CCRC) in Honolulu. 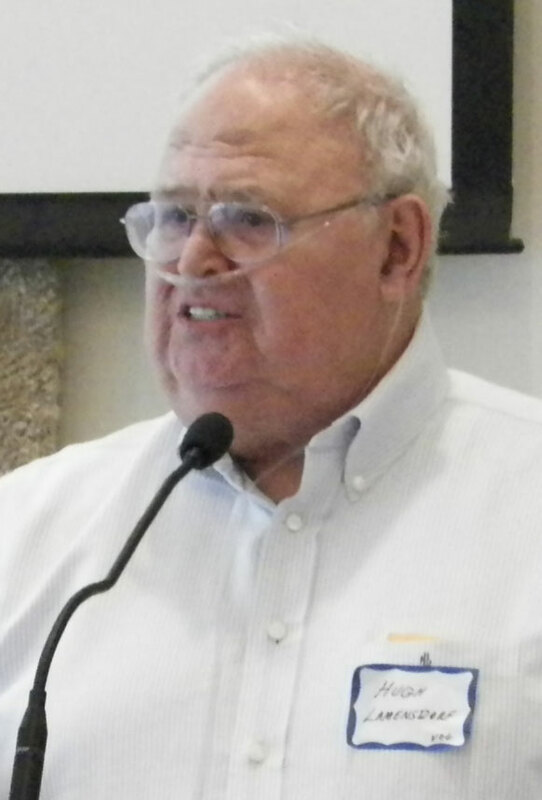 Israel was also the vice president of operations for Balfour Senior Care in Louisville, Colo. and served as the executive director for The Lodge at Balfour and Balfour Retirement Community. At 6:30 p.m., Tuesday, Sept. 24 at Central Market on Lover’s Lane, Einat Admony, will be the featured chef. Participants are invited for an evening with a 21st century balaboosta (Yiddish for “perfect housewife”). This wife, mother and chef runs two bustling New York City restaurants (Taim and Balaboosta) and will introduce guests to the recipes that she cooks for the people she loves. She is a winner of both “Chopped” and “Throwdown with Bobby Flay” on the Food Network. Malabi (Creamy Pudding) with Orange Brandy Sauce. The class is $60 and includes one copy of “Balaboosta: Bold Mediterranean Recipes to Feed the People You Love.” To register, visit http://www.cookingschoolsofamerica.com/centralmarketdallas/index.php?page=classes#1877. Shearith Israel Education Director Dina Eliezer tells me that if you want to give your kids a hands on Torah experience, join her for an interactive Torah experience on Erev Simchat Torah. The Torah activity begins at 6:30 p.m. on Thursday, Sept. 26, at Shearith Israel 9401 Douglas Ave. For more information contact Dina at 214-361-6606 or deliezer@shearith.org. • Nov. 5 is the date of the Tycher Library Community Read. Featured this year is author Dara Horn, and her spellbinding new novel, “A Guide for the Perplexed.” Horn will appear at 7 p.m., in the Zale Auditorium at the Aaron Family JCC, 7900 Northaven Road. Get Reading! The event is free, but seating is limited. For more information, contact the Tycher librarian, Nina Golboro, ngolboro@jfgd.org. • If you missed Sam Horowitz’ reprise of his bar mitzvah party performance on “The Ellen DeGeneres Show” last week, it’s available online at www.ellentv.com. At the end of his performance, Ellen who seemed quite taken with Sam, presented him with a “blingy” kippah and tallit. Tickets are $18 for general admission with valet parking. Students are admitted free of charge. For tickets, visit www.brite.edu or by calling 817-257-7808. Clurman is an Emmy- and Grammy-nominated conductor, educator and choral specialist. She served as director of choral activities at The Juilliard School for 18 years and currently conducted Essential Voices USA collaborates with the Omaha Symphony’s Sacred Voices concerts and enjoys teaching and coaching voice. Cantor Ruben is the director of the Debbie Friedman School of Sacred Music at Hebrew Union College-Jewish Institute of Religion. From 1982-2006, he served as the cantor of Temple Shaaray Tefila in New York City. For the past three years, he led High Holiday services at the Beth-El Congregation in Fort Worth. The Gates of Chai Lectureship is designed to promote informed, dynamic public dialogue and education on issues of relevance to contemporary Judaism. The Lectureship is sponsored through the generosity of Gates of Chai, Inc., in memory of Larry Kornbleet and family members of Stanley and Marcia Kornbleet Kurtz who perished in the Holocaust. Previous Gates of Chai speakers include Nobel Peace Laureate Elie Wiesel, legal/political activists Morris Dees and Susan Estrich, Middle Eastern policy expert Dennis Ross and authors Rabbi Harold Kushner, Thomas Cahill, Chaim Potok and Bruce Feiler. 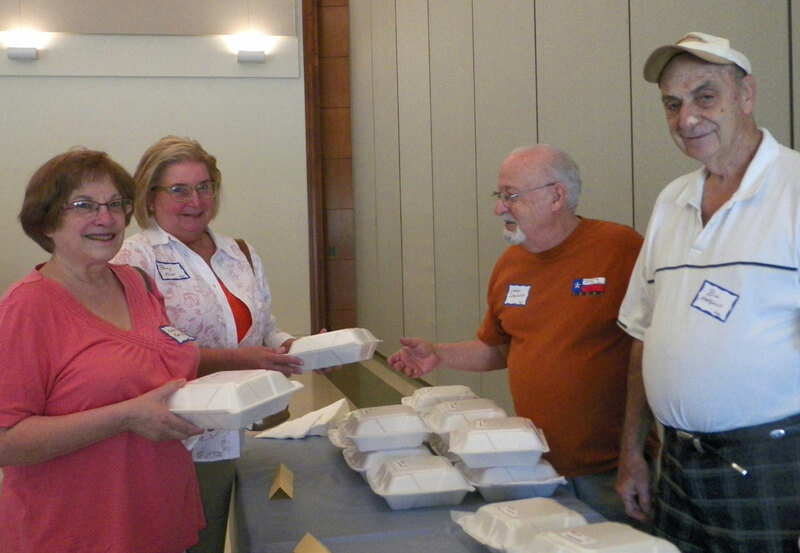 Karen Ferstenfeld and Patty Klint are served their lunches by Larry Steckler and Bill Margolis. In a spirited exchange, the “Daytimers” questioned the people in charge of the Chisholm Trail Parkway project, Kevin Reilly, corridor manager, and Sam Lopez, project communication manager. Lopez gave a detailed timeline for the Parkway, explained the toll tag system and answered a number of questions about the area, toll charges and traffic patterns. Hugh Lamensdorf served as emcee. Rosanne Margolis and Ethel Schectman managed the door, and Bill Margolis and Larry Steckler made sure everyone got the right lunch. Emcee for the day was Dr. Hugh Lamensdorf, and the speakers were given a delightful introduction by Edythe Cohen. The date for the next “Daytimers” program has been changed to Oct. 30, when Cantor Robbi Sherwin, a multi-instrumentalist, inspirational singer and speaker, will come from Austin to bring her special brand of “spirited Jewish songcrafting” to the group. She is the daughter of Ken Sherwin and the late Felice Sherwin of Fort Worth. 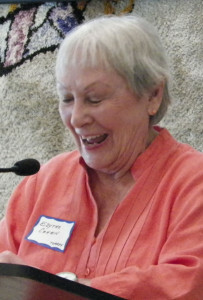 Edythe Cohen gave a delightful introduction to the speakers. • Hedy Collins reminds me that The Jewish Family Services Senior Program participants were fortunate to receive “Yontif” bags for the High Holidays. Special thanks goes to the WRJ of Beth Israel in Colleyville for the donation of the round raisin challahs that everyone received. The rest of the goodies (including apples, honey, wine and soup mix) were due to the generous donation from NCJW that has left JFS money to continue this mitzvah for the seniors of the JFS Program. 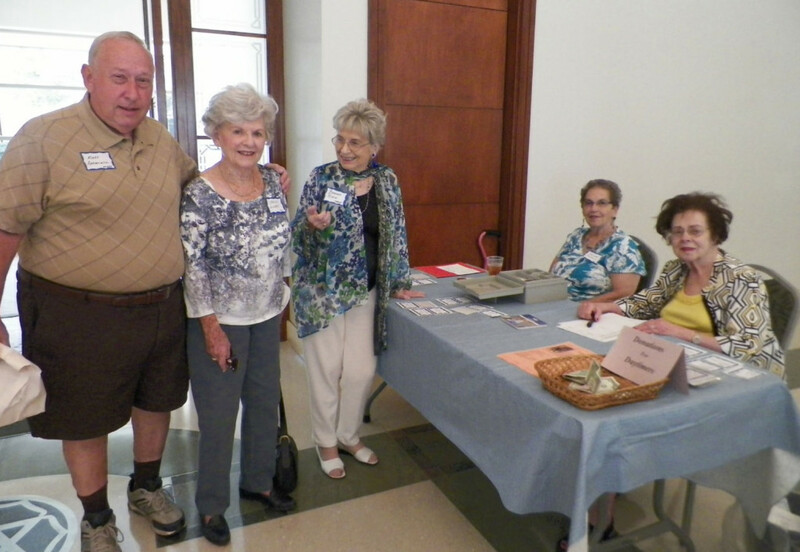 The Senior program meets daily at Beth-El and is going strong. blackjack, bingo, dominos and mah jongg are among the daily games and twice a week, there is exercise class. Join the fun. • “Western Treasures” opens today, Thursday, Sept. 19, and runs through Sunday, Sept. 14, 2014, at the Sid Richardson Museum, 309 Main St. in Sundance Square. The exhibition of 39 paintings will reunite popular works by Frederic Remington (1861-1909), Charles M. Russell (1864-1926) and their contemporaries with rarely seen paintings from the permanent collection. Visitors will also view six bronze sculptures by Remington and Russell on loan from private collections. The museum was temporarily closed, but reopened today. Admission is free and the museum is open daily except for major holidays. For information, go to www.sidrichardsonmuseum.org or call 817-332-6554. Vogel Alcove has achieved a historic milestone in its 26 years of existence. The Dallas child care center will soon move to City Park Elementary School to continue providing educational, developmental and therapeutic services to homeless children ages 6 weeks to 5 years old. 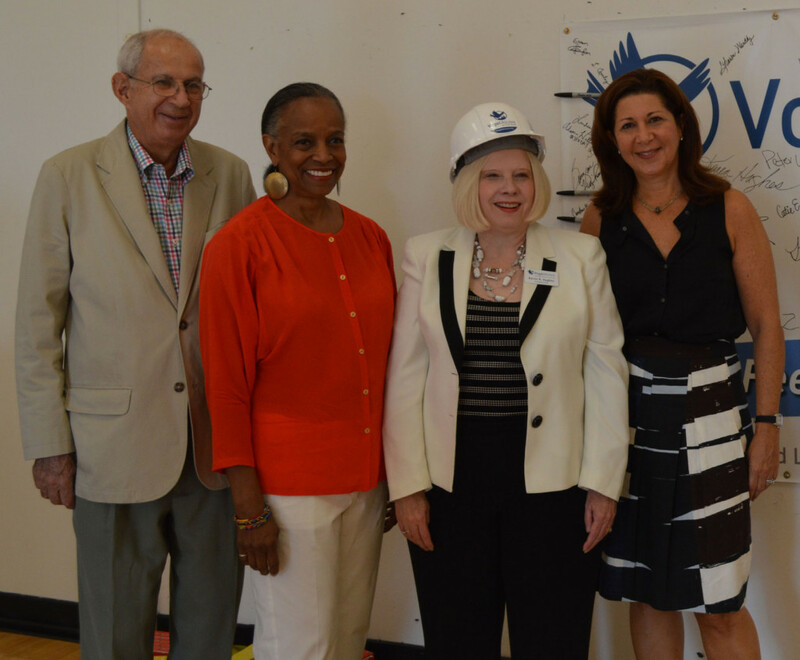 The organization broke ground at the vacated school building on Sept. 12 and a $3 million renovation project is underway, which is expected to be completed by early 2014. Board members, volunteers and various community members attended the event. The building, located at 1738 Gano St., is 55,000 square feet, four times the size of Vogel Alcove’s current space. Dallas ISD closed City Park Elementary last June and has agreed to lease the facility to Vogel Alcove; the administrative offices will move there as well, marking the first time that the offices and child care center will be housed in the same building. This move not only provides for a wonderful partnership with DISD, but also allows Vogel Alcove to expand its services by 65 percent, President and CEO Karen Hughes said during her opening remarks at the groundbreaking. Vogel Alcove has helped 13,500 children in its history, Hughes added. It is the only free comprehensive early childhood program in the city whose primary focus is to provide care and case management for children and their families from 18 local emergency/domestic violence shelters and housing programs. Homelessness in Dallas has risen 36 percent over the past two years. The school, built in 1919, will undergo complete renovations to meet specific requirements imposed by child care licensing. By moving, Vogel Alcove was able to forgo launching an $18 million capital campaign and it will now provide more revenue to DISD. McKool added that as a volunteer and board member, she has seen firsthand the difference Vogel Alcove makes. Moving to a new, updated space will enhance that, she said. Vogel Alcove helps many DISD families, which makes the partnership with the school even more meaningful, according to Bernadette Nutall, DISD District 9 trustee. She is looking forward to Vogel Alcove assisting even more families in years to come. Craig Budner and Peter Vogel, the sons of Doris Budner and Thelma Vogel, attended the groundbreaking, and both said their mothers would be proud of how far Vogel Alcove has come. Vogel Alcove’s vision is that every child in the community should have a home, a self-sufficient family and a pathway to success. The new space will allow that to continue, Hughes said.